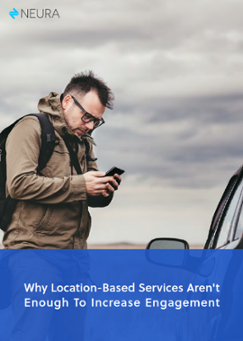 The Location Analytics market is expected to reach $16.34B by 2021 at a CAGR of 17.6%, yet mobile marketers are still struggling with Location Based Services over issues such as timeliness and relevance of engagement attempts. Today, companies widely call upon LBS triggers to create push content. however, basic user location data is only a partial solution to the problems inherent to engagement attempts – which include notification fatigue and churn. The solution is clear: user context.